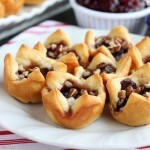 Cranberry Jalapeño Crescent Bites - Dessert Now, Dinner Later! *This is a sponsored post on behalf of Acorn Influence. All thoughts and opinions are my own. 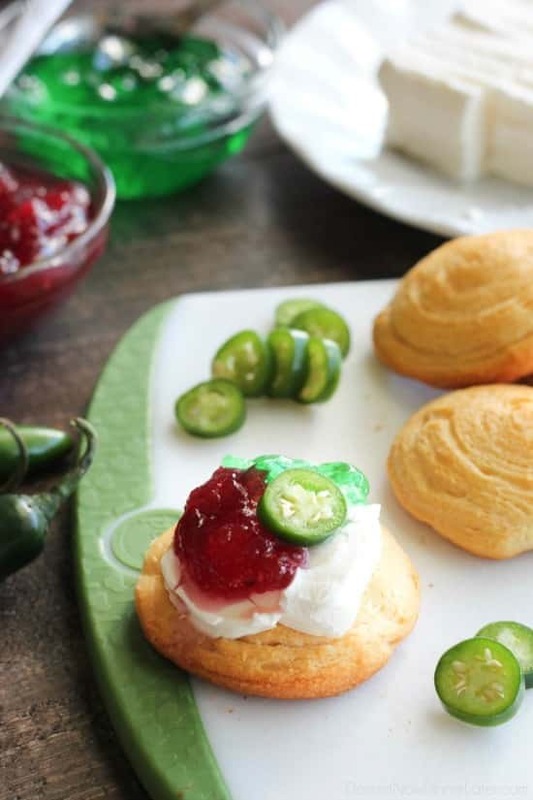 Sweet and heat combine in these cranberry jalapeño crescent bites with a cooling layer of cream cheese. 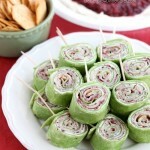 Simple and unique, this holiday appetizer that will have your guests wanting more. I know it seems a little early to be talking about holiday entertaining, but you know how fast time flies. 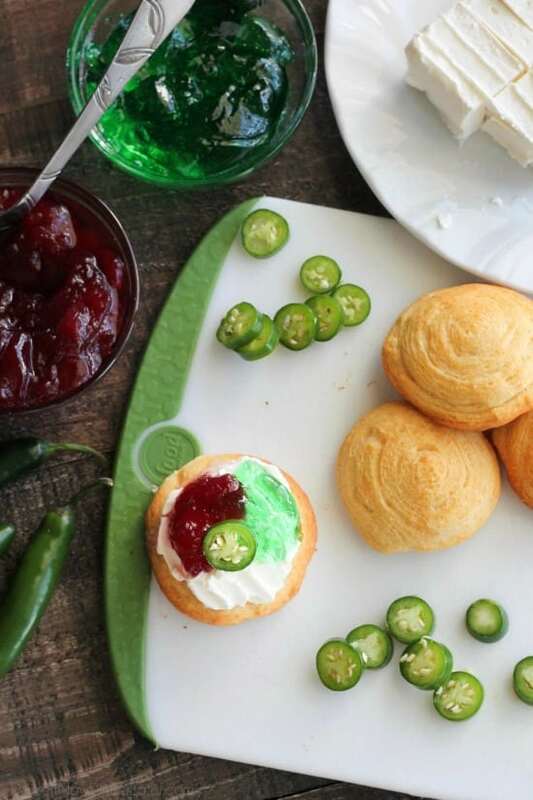 I want to be the first to give you fresh ideas for holiday food, and these cranberry jalapeño crescent bites are definitely on the list for this year! 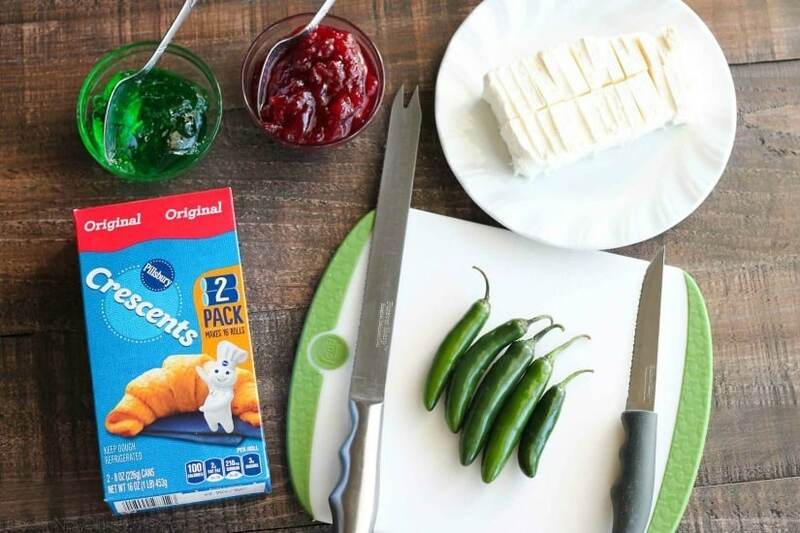 The fun thing about these crescent bites for today’s recipe, is that you aren’t using crescent rolls like a crescent roll. You know, breaking the triangles apart and rolling them up. Nope! You keep the dough rolled up and slice rounds with it, then bake it. My kids will eat them plain like that, which is fine, but mom and dad like them topped with the good stuff. 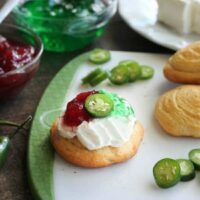 The good stuff is cream cheese, cranberry sauce, and jalapeño jelly. A perfect combination of sweet and heat. 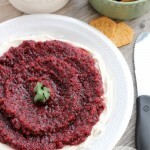 The idea of this appetizer came to me as I was reminiscing about my favorite Cranberry Salsa from a couple years back. This is almost like that, but easier because I don’t have to make a thing! Haha. 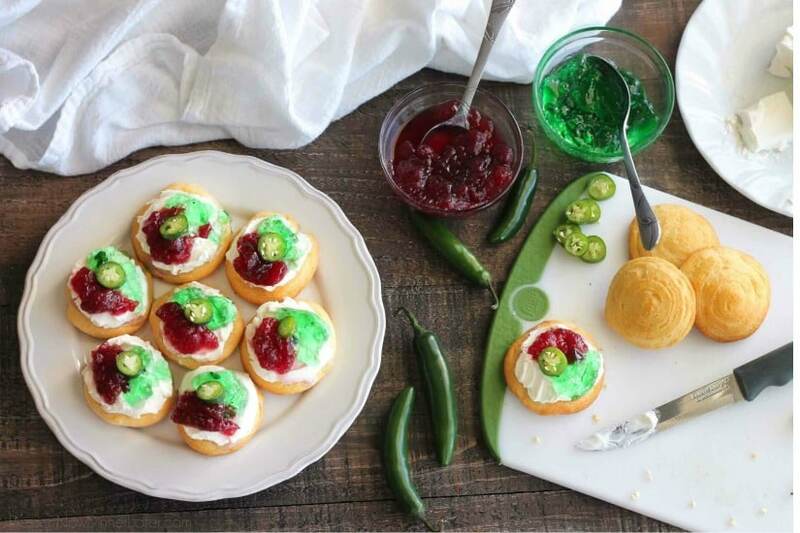 I bake crescent rounds, top them with cream cheese, cranberry sauce, and jalapeño jelly. Voila! The sliced jalapeños are for decoration, although they will increase the heat quite a bit, so if you like the heat, go for it! If you like it mild-medium, leave them off. The crispy buttery crescent crust is the perfect base for the soft toppings. It’s a pleasurable bite for your mouth! I simply can’t wait to share these with my family and friends for the holidays. 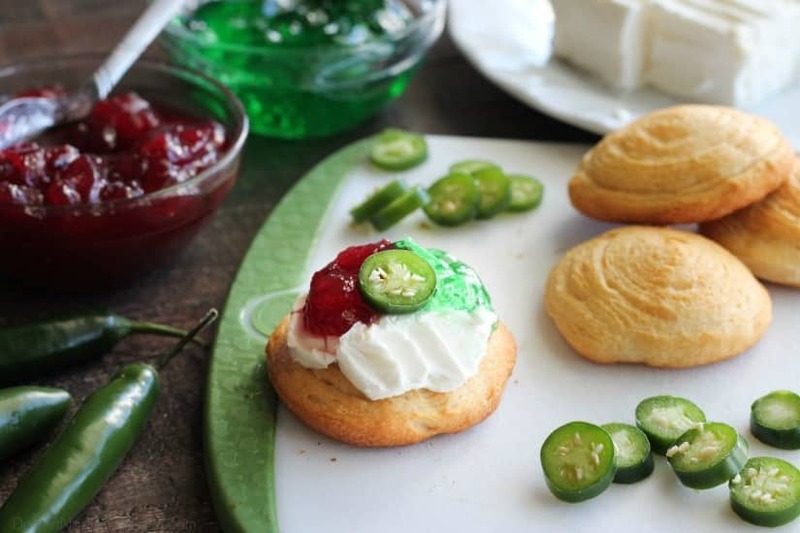 The red and green colors scream “Christmas!” I hope you make up an excuse to try these too, because they are so good! Happy baking!!! Heat oven to 375 degrees Fahrenheit. Remove dough from can; do not unroll. Using serrated knife, cut dough into 20 rounds. Place on a lightly greased baking sheet. Bake 9 to 12 minutes or until golden brown. Cool 10 minutes. Cut cream cheese into twenty even squares. 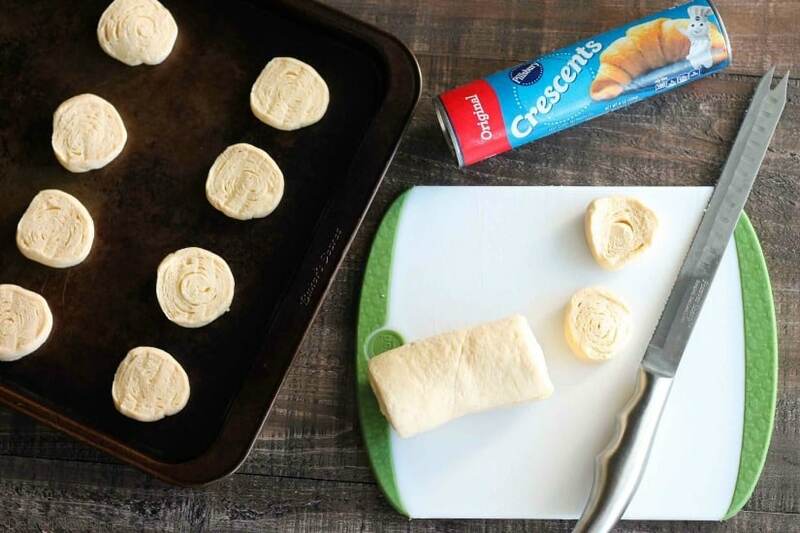 Spread one square on top of each baked crescent round, making a well in the middle for the other toppings -- so they don't slide off. 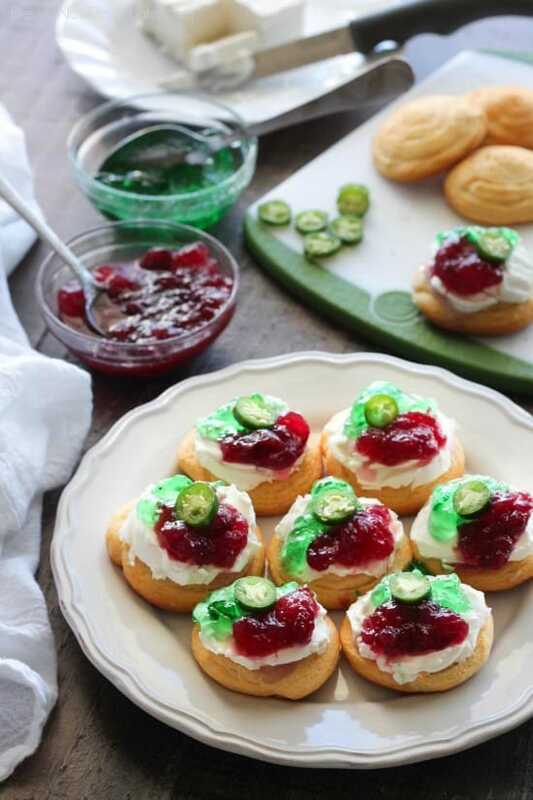 Place a rounded ½ teaspoon each of the cranberry sauce and jalapeño jelly into the center of the cream cheese for each crescent round. Top with jalapeño slices, if desired. Serve immediately. Cover and refrigerate any leftovers. *The sliced jalapeños are for decoration, although they will increase the heat quite a bit, so if you like the heat, go for it! If you like it mild-medium, leave them off. So perfect for the upcoming holidays! 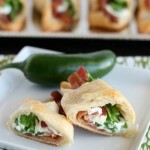 fantastically smart recipe. i love this. also for when guests pop in unexpectedly. awesome!